THIS IS PART OF WHAT WILL BE A SERIES OF BLOGS OVER THE NEXT FEW MONTHS DESCRIBING SOME OF THE HISTORY AND CULTURE OF THE EXTRACARE CHARITABLE TRUST. THIS WAS THE ORGANISATION I FOUNDED AND WORKED FOR FROM 1987 THROUGH TO THE TIME I RETIRED IN 2010. I HOPE IT WILL INSPIRE OTHERS TO LOOK AT NEW WAYS OF LIVING IN LATER LIFE. Many of the ideas we developed in ExtraCare started from very small beginnings. The third nursing home we opened was called Sherbourne House in Coventry and one day I got talking to a tiny little lady, all scrunched up in a wheelchair with a blanket over her knees – her name was Sarah Cresswell. Although she was riddled with arthritis, she always had a cheery smile on her face. One day when I was talking to her, I asked her about the food and she told me that it was very good except for the cabbage. The catering system was a cook chill service provided by the local hospital and cabbage seemed to be one of the things they just could not get right. Over the next few days, I mused on this and wondered why we could not get something as simple as cooking cabbage right. I went out to a local greengrocer, bought two fresh cabbages, took them back to Sarah and assured her that the staff would cook them if she asked nicely. That very much embodied the “can do culture” that we were trying to instil in all the staff in ExtraCare. But it also highlighted for me the importance of walking the floor, listening to residents and most of all, acting on what they said. 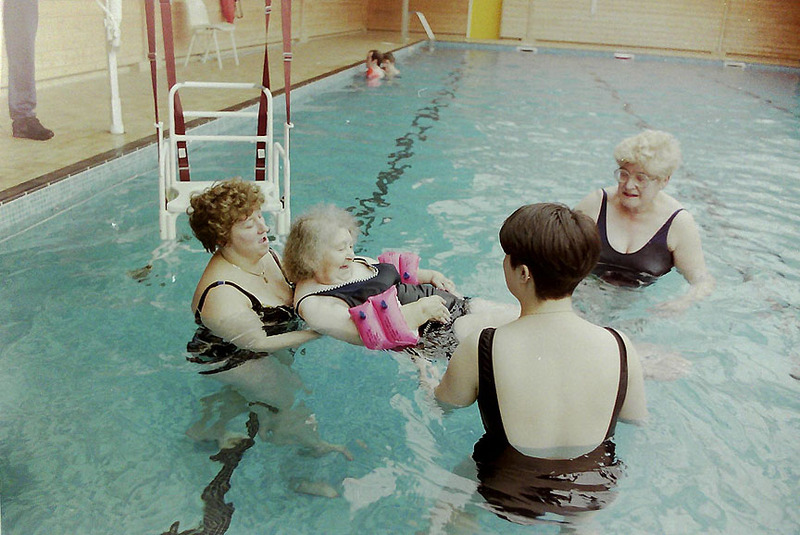 In the photograph below, you can see Sarah Cresswell having a swimming lesson with physiotherapist Freda Laye and two care staff. This was one of her later suggestions. Shortly after this, we set up the “Buzzwords” suggestion scheme throughout ExtraCare. Every nursing home and extracare housing scheme had a “Buzzwords Beehive” post box designed and built by Andy Hillier, our Development Director. Residents were able to post any suggestion in the box and once a month the box was opened by the “Buzzwords” Captain and the responses to the suggestions were decided by the Captain and a group of residents in each location. As the whole suggestion scheme became more popular, we held a promotion day at Coombe Abbey Banqueting Suite in Coventry. 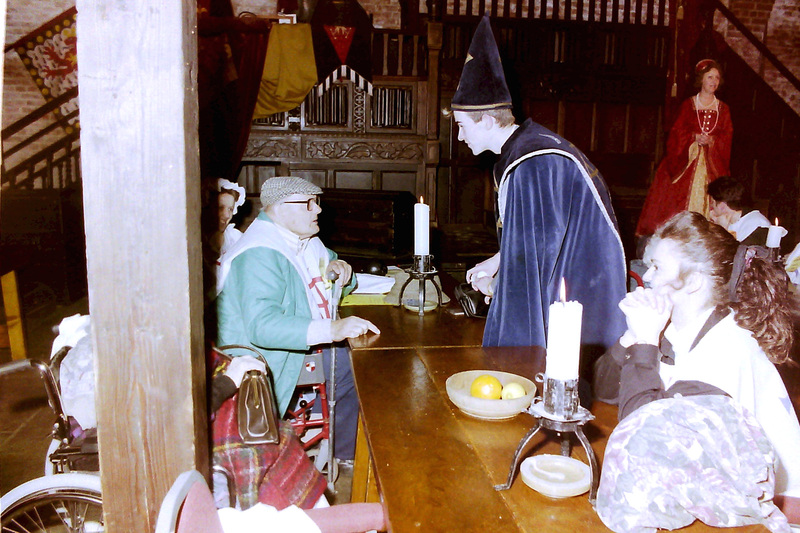 Based on a medieval theme, the residents were all dressed up as Kings and Queens and the staff were dressed as serfs. The programme for the day, including the entertainment and the refreshments, was determined by suggestions by the residents and the staff had to find a way of fulfilling their wishes. Failure to do so resulted in the staff being placed in stocks and the residents then throwing wet sponges at them. The symbolism of the event was designed to emphasise that residents’ views are paramount and staff should endeavour to always adopt a “can do” attitude rather than finding reasons why things cannot be achieved. This was a far cry from the culture that existed in nursing and residential care at the time and in many places still to this day. In its hay-day the “Buzzwords” scheme received over 3,500 suggestions a year. There were small token prizes for every suggestor, every month. The best overall suggestion each month was awarded a David Winter ceramic cottage. Gradually these started to appear on mantelpieces, sideboards and bedside tables all over ExtraCare. Most suggestions cost nothing to implement other than a little time and thought but Captains were free to spend up to £100 on each suggestion. The naysayer’s would say that if everybody spent a £100 this would cost us an arm and a leg – £350,000. Thankfully my Board of Trustees and my fellow Directors shared the ExtraCare vision and nobody ever suggested a 3 week holiday in the Caribbean 🙂 Well not straight away, although more of this later. 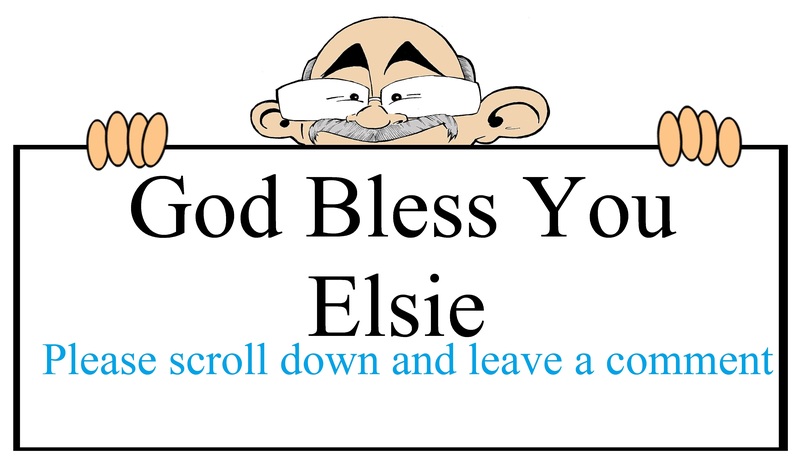 The all-time best suggestor was a lovely lady called Elsie Norbury who came up with several suggestions every month for all the time she lived in one of our nursing homes. For this she received a solid gold brooch of the ExtraCare logo (Rufus). When Elsie died, her daughter asked for her to be buried with her Rufus badge. This entry was posted in SMILES and tagged "ExtraCare Traditions". Bookmark the permalink. Like always it is that personal involvement and the little things in life that mean a lot to all concerned. Firstly one has to be concernered and care what If? and ask the question can one do anything? Some objectives take time others an investment in time and monies, but so long as pie in the sky and kite flying is not the objective then all parties can accommodate a few moments of pleasure, which may become memories to treasure. The Extracare Charatible Trust was and is a good place to start! Thanks Michael, it is good to hear from you and thanks for the kind remarks. Customer care is often paid lip service to, but at ExtraCare we tried to make it a reality as a mark of respect for the residents of our schemes. Listening is easy, it is acting on it that most organisations fail on.